Warehouse storage solutions have been providing bespoke pallet racking solutions to customers based in the Bolton and surrounding areas successfully for many years. We understand that every business is individual and that unique businesses need innovative and unique solutions. 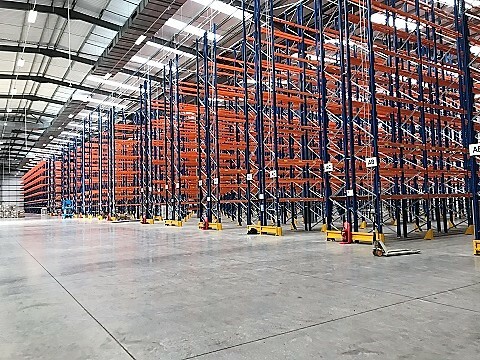 We provide a wide range of differing pallet racking solutions to suit all needs for our Bolton based customers from our offices across in North Yorkshire. We have a team of specially trained sales engineers who will be able to discuss which options are viable and which will offer you the best and most cost effective pallet racking solution. The cost of businesses relocating can be a prohibitively expensive exercise and extending can also be disruptive to operational efficiency so finding innovative ways to improve your existing capacity can be very cost effective and at the same time minimise disruption. Our team will always seek to get you the best possible and most cost effective solution for your business. Reasons to choose Warehouse Storage Solutions? We can deal with projects of all size from small installations to mega distribution centres. The Warehouse Storage Solutions philosophy is a really simple one; use the best possible components, attention to detail offer clients free quotations and be easy to deal with, just some of the reasons why most of our work comes from referrals from satisfied customers. The UK’s most common type of pallet racking in the UK, highly versatile and the ability to fit a wide range of different configurations. Wide aisles to give easy access for people and fork lift operators. Need bulk storage then push back pallet racking may be your best option. If you double the depth of the pallets you double your storage capacity in one simple move. Use specialist handling equipment such as trucks with telescopic arms, most clients find this a really cost effective alternative.